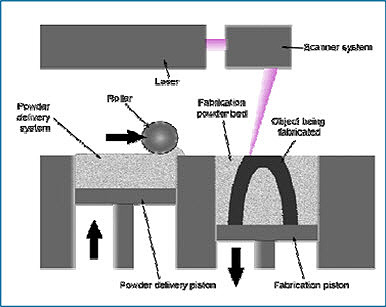 The DMLS process is an additive melting technology which has been used in many years as a key method for prototyping in medical and aerospace applications. Because an extremely high level of flexibility DMLS also appears in several other unexpected industries such as automotive, energy, textile industry and many more. Direct Metal Laser Sintering (DMLS) is an additive laser melting technology that can be used for manufacturing functional metal components and tools in various alloys including light metal alloys, high grade steels, stainless steels and nickel and cobalt based super alloys. The DMLS method has been utilized for many years in prototyping applications in various industries, including medical and aerospace industries. DMLS means laser-sintering using a metal powder, in which metal parts are produced directly in the building process. 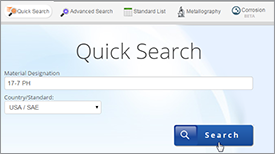 The basic principle of the Direct Metal Laser Sintering (DMLS) Technology is to melt down thin layers (20 ÷ 60 µm) of Metal Powder with an electronically driven LASER beam (200W). Layer by layer, it is possible to build any kind of shape and geometry, even those which are impossible to obtain with any other kind of technology. The accuracy is ± 0.05mm. In Figure 1 outlines the schematic functioning principle of DMLS. 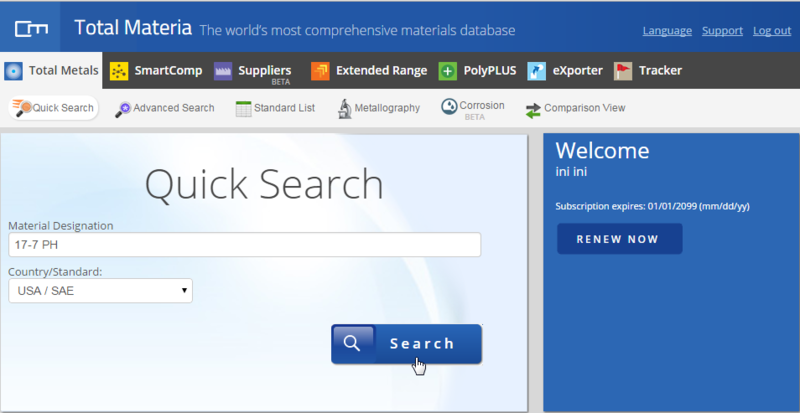 In the paper of D.Manfredi et al, a characterization of an AlSiMg alloy processed by Direct Metal Laser Sintering (DMLS) is presented, from the analysis of the starting powders, in terms of size, morphology and chemical composition, through to the evaluation of mechanical and microstructural properties of specimens built along different orientations parallel and perpendicular to the powder deposition plane. 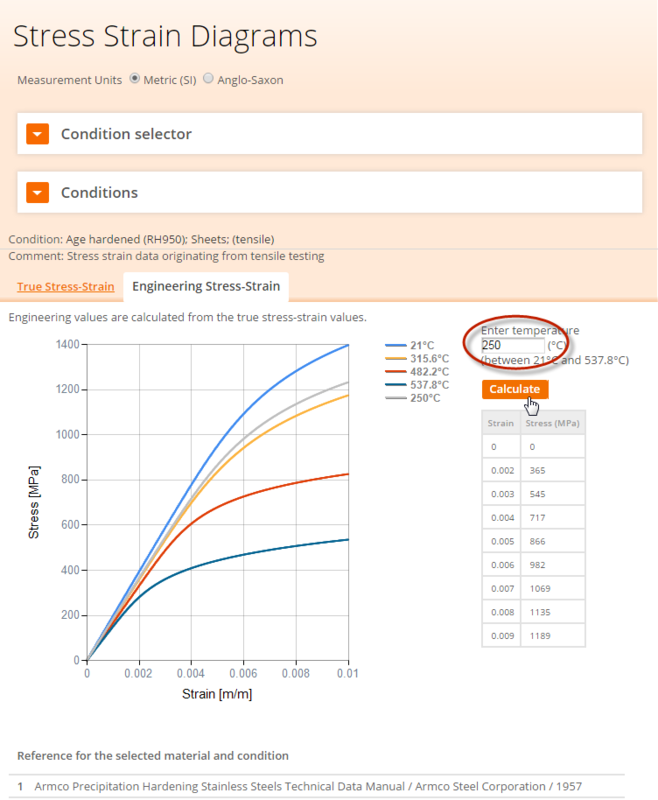 With respect to a similar aluminum alloy as-fabricated (A360.0 alloy), AlSiMg DMLS specimens show very high values of yield strength of about 40% due to the very fine microstructure. 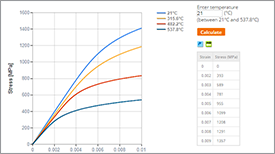 Tensile tests were performed on an EASYDUR 3MZ—5000 testing machine, with a free-running crosshead speed of 2 mm/min: strain was measured by a piezo-electric extensometer. After rupture, the fracture surfaces were observed by Field emission scanning electron microscopy (FESEM). 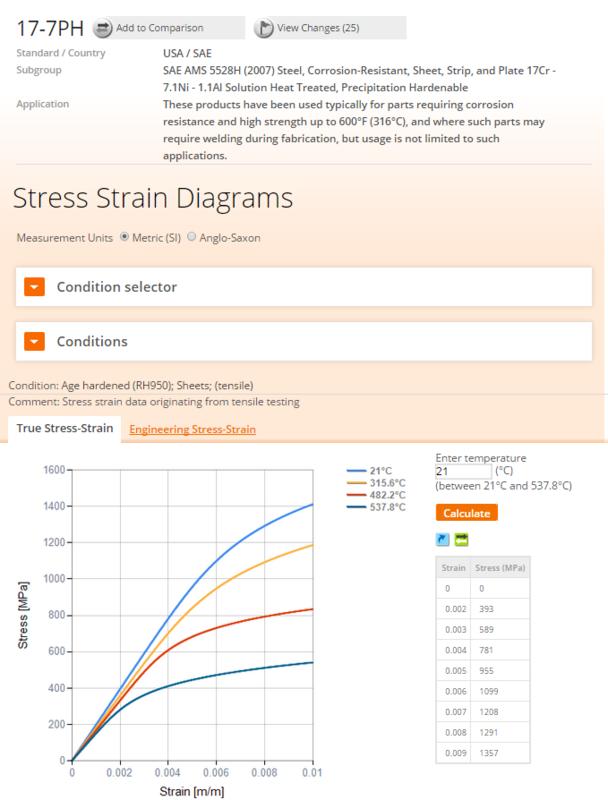 In Figure 2a are shown the representative trends of stress-strain curves for each orientation considered. As can be seen, the results are very reproducible. 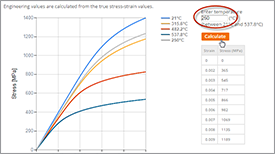 In Figure 2b, it is graphically explained how the yield strength values were calculated: this is shown for a typical stress-strain curve of a sample along the build direction. Considering the tangent to the curve in the elastic region, the values for the Young’s modulus could also be estimated: it was confirmed that they are in good agreement with the results obtained by the impulse excitation technique. 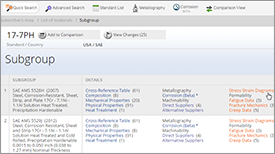 Table 1: Mean values of tensile properties of aluminum alloy DMLS specimens produced according the standard ASTM E8M along different orientations, compared to a similar alloy as-fabricated. 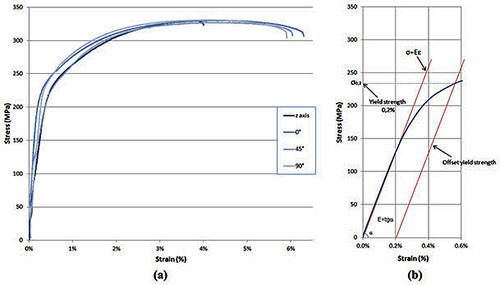 Figure 2: (a) Typical stress-strain curves for aluminum alloy DMLS specimens built long four different orientations; (b) yield strength and Young’s modulus evaluation for the representative curve of a specimen along z axis. Because of its extremely high flexibility, it is used in many fields of application such as orthopaedics & dental industries, rapid prototyping and tooling. In addition, because of some of its distinctive features, DMLS technology finds unexpected applications in aerospace and automotive industry. 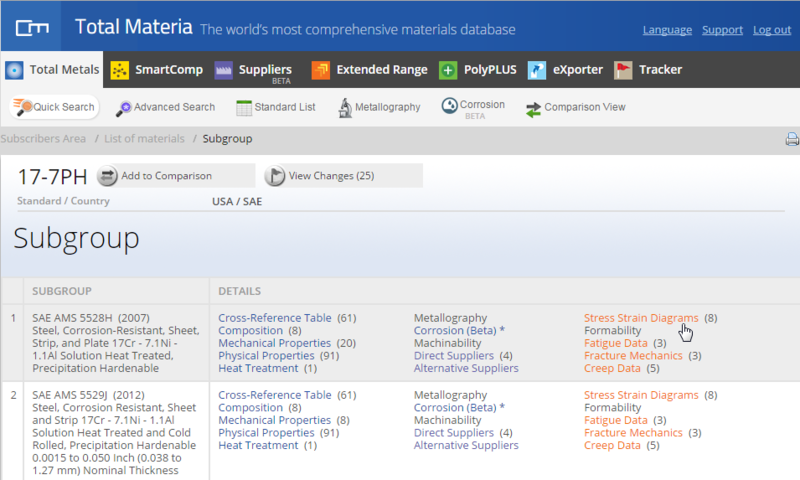 Table 2: Market sectors and applications.